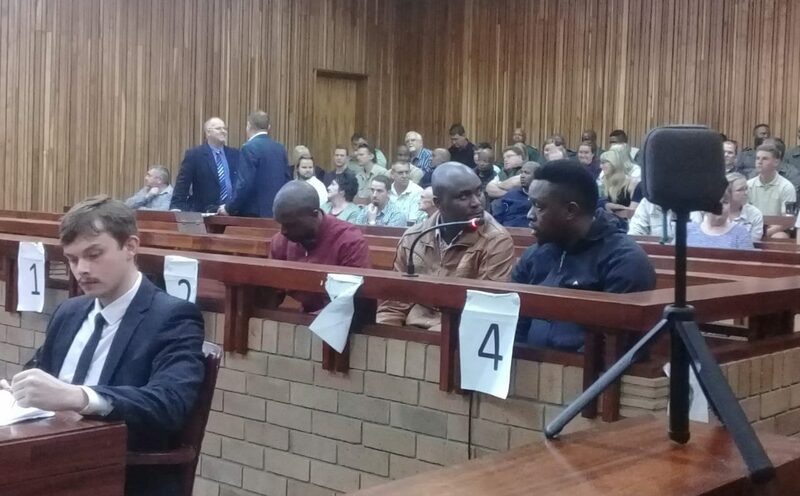 Three convicted Rhino poachers have been sentenced to 25 years imprisonment each in the Makhanda (Grahamstown) High Court. The 40-year-old Forget Ndlovu, 38-year-old Jabulani Ndlovu and 37-year-old Skhumbuzo Ndlovu faced over 50 charges related to the poaching of 13 rhinos across the Eastern Cape. The public gallery in the courtroom was packed with conservation workers, other interested stakeholders and journalists as Judge Jeremy Pickering handed down the sentence on Wednesday morning. During the trio’s arrest in June 2016, police recovered a freshly harvested rhino horn to the value of R1.2 million. Police also confiscated two vehicles, drugs used to dart animals, saws, knives and camping gear. Police Spokesperson Captain Khaya Tonjeni says there have been no incidents of Rhino being darted in the province, since the so-called Ndlovu gang was arrested.